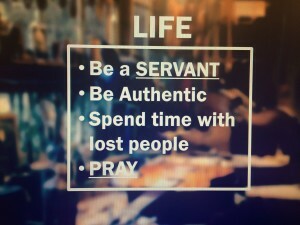 Resonate is currently going through a Purpose series walking through each of these five purposes as a ministry. 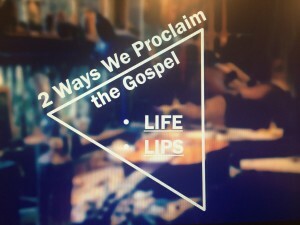 You can find our first two lessons on Loving God, and Growing in Faith through the links below. Last week we talked through the purpose of Reach the Lost. 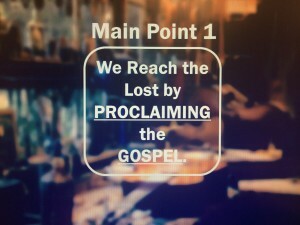 Main Point 1: We Reach the Lost by proclaiming the Gospel. But for there to be good news, it is predicated on the fact that there first was bad news. Romans 3:10-20 sums up the bad news. Basically we all fail at doing what is right. There’s nothing we can do about it. (We can’t be justified by works). We will face God’s judgment. Thankfully the chapter doesn’t stop there. It goes on to give us the good news starting in verse 21. God righteousness has been revealed through faith in Jesus Christ. All have sinned, but are justified freely by grace through faith in Jesus Christ. Jesus was our propitiation (substitute) for our sin. (God has to punish sins, so He punished Jesus for our sins) Jesus paid the penalty for our sin. God withheld punishing us for our sins. He declared us righteous because of our faith in Jesus. Have you ever wondered why God doesn’t just hit the eject button on our lives once we accept Christ? Its because He wants us to join Him in His mission to redeem humanity. God gives us a job and we find it in 2 Corinthians 5:18-20. 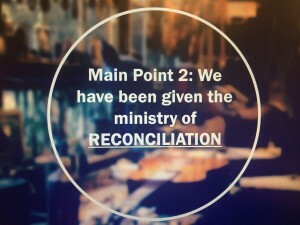 Main Point 2: We have been given the ministry of reconciliation. 14 But how can they call on Him they have not believed in? And how can they believe without hearing about Him? And how can they hear without a preacher? 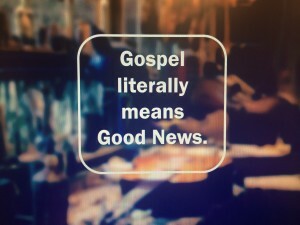 Our response is simply share the gospel with our life and with our lips. It is not to see people convert to Christianity. We never convert someone, Christ does. 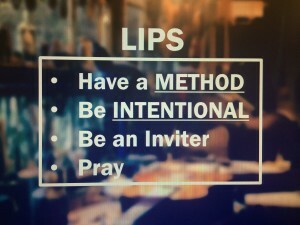 So what is success when it comes to sharing the Gospel? 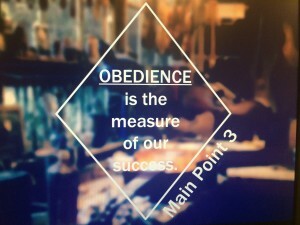 Main Point 3: Obedience is the measure of our success.